Can ‘Preventive Detention’ Replace Money Bail? At one point in June, the Hillsborough County jail in Manchester, New Hampshire, held 32 people on bail amounts of $1,000 or less. The charges against them—none had yet been convicted—included criminal trespassing, drug possession, breach of bail conditions, driving under the influence, shoplifting, burglary, misdemeanor assault and being a felon in possession of a weapon, according to a report from the Hillsborough County Department of Corrections. One man, charged with “misuse of 911 system,” was held on $160 bail. New Hampshire, by national standards, keeps relatively few people in jail pending trial. But defense lawyers say some alleged offenders, like those in Hillsborough County, are nonetheless kept in jail because they cannot afford to post even low bail amounts. 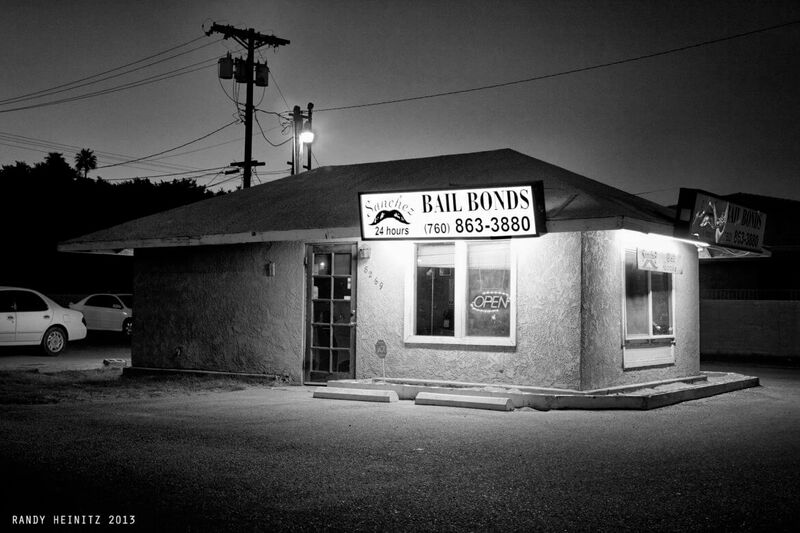 Earlier this month, a significant rewrite of the state’s bail statute took effect. The new law prohibits judges from setting bail in an amount that keeps a defendant in jail because he or she is unable to post it. At the same time, the law vastly expands the ability of judges to use preventive detention—detention without bail—for defendants whose release could endanger the public or themselves. “It’s a cultural shift for all of our courts, because we are one of the states that has used cash bail over the years as a means of detaining people,” said Judge Edwin W. Kelly, the administrative judge of New Hampshire’s circuit courts. How exactly that shift will play out is unclear, according to interviews with a dozen defense lawyers, prosecutors, judges, and legal experts. The new law, those observers said, seems likely to keep those accused of low-level crimes out of jail while their cases are pending. Less clear is the role preventive detention will play, and how it will intersect with new language that bars judges from basing detention decisions solely on drug addiction or homelessness. “What the bill affords and gives is tremendous discretion to judges,” said Colin Doyle, a staff attorney with the Criminal Justice Policy Program at Harvard Law School who studies pretrial laws and practices nationwide. New Hampshire’s bail changes—passed as Senate Bill 556 with bipartisan sponsorship and signed into law by Gov. Chris Sununu in July—come at a time when other jurisdictions, including New Jersey, California and Cook County, Ill., are reducing or eliminating the use of cash bail. Reformers argue that linking pretrial release to money discriminates against people with low incomes, violates the constitutional presumption of liberty before trial and does nothing to improve safety or court appearance rates. But New Hampshire’s bail-reform push was not without critics. County attorneys raised concerns about public safety, saying it could mean the release of some defendants who pose risks. Andrew Shagoury, president of the New Hampshire Association of Chiefs of Police, warned in an op-ed that the reform, to be successful, would require a costly expansion of pretrial services—things like monitoring, drug testing and reminding defendants of court dates. Cash bail and other pretrial release conditions have two basic aims: making sure someone shows up to court and making sure the public is safe. Until this month, those two prongs intertwined. A judge would decide a defendant seemed to endanger public safety, run the risk of missing court appearances or both, and come up with a bail order that accounted for those factors. The new law effectively splits that analysis in two. If convinced that outright release would endanger society or the defendant, a judge can now order that person held without bail or impose restrictive conditions like electronic monitoring. Otherwise, judges can set cash bail if they believe the prospect of forfeiting money will encourage defendants to show up. But there’s a caveat: The defendant must be able to afford it and cannot be detained merely because they can’t pay. “Essentially, if the issue that you are confronting in court is whether or not this person is going to appear, that person has to walk out the door of the courthouse,” Kelly said. That could have an impact in Cheshire County. As of Tuesday morning, the county jail housed 46 pretrial inmates, 25 of whom had been there for longer than a month. Some of them, accused of violent crimes, sexual assaults or other egregious offenses, were held on high bail amounts and would likely be ordered held without bail under the new statute. Often, Cheshire County defendants who face less serious allegations are released on personal recognizance — without having to put up money. But not always. As of Wednesday morning, the county jail held nine people on bail of $1,000 or less, according to the facility’s booking department. While cautiously optimistic about the change to cash bail, Parsons, the public defender, said he worries about the courts’ new preventive-detention powers. “My fear is that we have a lot more people simply detained without bail, whereas before they might have at least … had a chance of getting out,” he said. Previously, New Hampshire judges could refuse bail in just a handful of situations, such as violations of domestic-violence protective orders and certain homicide cases. In practice, that restriction led to extremely high dollar figures in some cases, all but guaranteed to keep a person charged with a serious violent offense behind bars. “I’ve said on the record, ‘I’m setting a bail I don’t think you can post, because I think you’re dangerous,’ ” said Judge David W. Ruoff, who presides over Cheshire County Superior Court in Keene. Usually an effective route to detention, that system was imperfect. “I’ve had cases where bail was set at $100,000—and the person had the money,” Paul G. Schweizer, a Keene-based defense attorney, said. Prosecutors and judges said a range of offenses could qualify for preventive detention under the new law—serious assaults, sexual assaults, nighttime home invasions, perhaps some drug sales or repeat DWIs—but stressed that detention decisions will always depend on the circumstances of a case. Albert “Buzz” Scherr, a University of New Hampshire law professor who helped draft the law, said built-in procedural safeguards should keep detention in check. For instance, a judge can find someone dangerous only after hearing “clear and convincing evidence”—the second-highest standard in the legal system. “Much of this is going to be how aggressive defense lawyers are at putting the prosecutors to their proof,” Scherr said. Unease over preventive detention is not unique to New Hampshire. California last week passed a sweeping bail-reform package that, according to Politico, eliminated the use of cash bail while expanding preventive detention and the use of standardized risk assessments. The provisions about detention and risk assessments alienated some of the bill’s onetime supporters. Critics say standardized risk assessments can discriminate against minorities by reflecting underlying racial disparities. The Granite State’s law, by contrast, makes no mention of risk assessment tools, though Kelly said a state criminal-justice council is looking into the possibility. Doyle, of the Criminal Justice Policy Program, said an approach like New Hampshire’s “allows for a more case-by-case approach.” But that flexibility can make outcomes less certain, he added. The new law doesn’t force judges to ignore concerning behavior just because it’s linked to drug use, McLaughlin and others noted. “If somebody commits a serious felony-level offense, the fact that they are addicted really wouldn’t impact your decision on dangerousness,” Kelly said. Sullivan County Attorney Marc Hathaway worries the language about addiction will hinder efforts to detain people whose use of potent illegal drugs endangers themselves or others. He said he plans to ask for rulings that clarify those issues. Ultimately, Scherr said, it’ll be up to lawyers and judges to work through those issues — nothing unusual in a system that depends on judicial discretion and the adversarial process. Paul Cuno-Booth, a staff writer for the Keene Sentinel, is a 2018 John Jay Rural Justice Reporting Fellow. This article, which was published this month in the Sentinel, was part of his fellowship project. Follow Paul on Twitter at @PCunoBoothKS. He welcomes readers’ comments. Slowly, but surely, the Constitution is being chipped away. I live in a county in Indiana that has switched to this process. Jail population has skyrocketed, more jailers ( not patrol ), more prosecutors, a new jail, plus the cost of Pretrial staff. One in five either fail to appear or commit new crimes. Plus, fugitives from justice have absolutely NO ONE actively pursuing them. Get a gun while you can !!! !